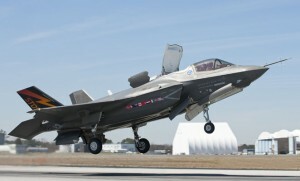 A US Presidential commission set up to study ways of reducing that country’s massive deficit has identified several potential targets within the defence budget, including the F-35B STOVL version of the JSF. The commission has suggested that cancelling the F-35B would save US$17.6 billion, while also slowing the acquisition of early build F-35A and F-35C models in favour of more F-16C/Ds and F/A-18E/F Super Hornets would result in an additional US$9.5 billion in savings over the next five years. If the panel’s final recommendations are accepted, the move would likely see the end of an organic US Marine Corps fixed wing air combat capability, with its current units likely to be rolled over into US Navy squadrons. The commission is yet to prepare its final report for the President, and a majority of 14 out of the 18 panel members must agree on its content before its submission.